While HTC has not released sales figures for the HTC One (M8), there is a way to take an educated guess about how many units have been sold, by looking at the phone's system apps. 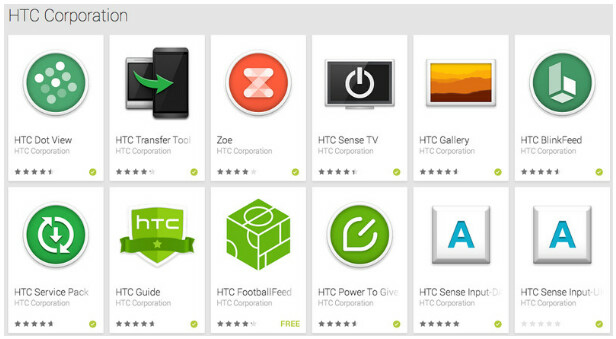 HTC has moved some of the system apps out of the phone, and added them to the Google Play Store. By doing this, HTC can more easily send out updates to these apps, and in a more timely fashion too. For example, let's say that HTC wants to update the Gallery app for the HTC One (M8). In the old days, users would have to wait for an update to the OS, which would include the changes to the Gallery. That might have taken months to do with all of that carrier testing required. But by having the Gallery app available in the Google Play Store, HTC could quickly make an update available for the phone's users to download, without having to wait for the mobile operators to approve. On Friday, the system apps listed in the Google Play Store made specifically for the HTC One (M8), had been downloaded 100,000 to 500,000 times. That is a wide range to be sure, but it is the best information that non-developers can receive from Google. Today, those apps were moved into the next category, 500,000 to 1,000,000 downloads. Considering that the apps just were moved into the next higher range today, it would seem to indicate that the phone is closer to about 500,000 units in sales, than 1,000,000. So far, HTC executives are pleased with the results. HTC America president Jason Mackenzie has said that the initial weekly sales results for the HTC One (M8), showed that the new model outsold the HTC One (M7), except for a couple of weeks when the latter was on sale. Mackenzie has been taking this stance even when there were earlier reports that the phone was posting disappointing sales figures. So let's say that the HTC One (M8) has hit 500,000 in sales. The phone originally had a limited launch starting on March 25th, before a broader release was made on April 11th. Remembering how hyped the phone was, do you think that the number should be higher? Should it have been lower? Or, has HTC met your expectations. Well said. Samsung and Apple ruin everyone else's day all the time. Until Samsung, Apple, or both drown, these companies are going no where in terms of numbers. There is no room for a third. honestly i get this is no galaxy or iphone, and i get that i like htc and other manufactures who care for build quality; but this is disappointing to me. i thought that figure with that the hype would be in the millions, like at least 2 or 3 mil sold for 3 weeks of world wide launch. if htc goes under we are left with no real build quality left in the android space. sammy has proven to be an absolute feature beast, but for those of us in the mobile industry its EXTREMELY well know that after updates their phones turn to poop for non educated users. not sure if its because so many features to update with the android base, or just poor optimization, but either way they go from great to crap after an update or 2. done believe me check s2 phantom menu, s3 power cycling probs and so on, all occurred after an update. sony has good build quality, but they dont fare much better than htc in sales figures, and LG spends too much time on features like sammy. moto has been bought, so who knows where they are headed. is it to much to ask for an android manufacture in the US to care for build quality, smooth system (i get sense sucked in the evo days), and timely updates. seems like buyers only buy based on commercials, slash quality marketing, and not on devices quality. The M8 does have quality and I like it but it doesnt fit what people are looking for. People need a "balanced" phone as in a decent camera, processor, design, operating system, and etc. The M8 has above standard build quality but it sacrificed the camera for it. People would rather have a phone that has does decent in each category rather than extremely good in one and horrible in another. That explains why the iphone does pretty well. It doesnt have the best display, camera , or software flexibility but it gets the job done. Samsung doesnt have the best build quality but it has decent design, camera, and display quality as well. If HTC were to improve the camera and screen to phone ratio, I bet it could jump to being the top seller. Those few factors really drag them down. You need to soak yourself in the lives of everyday consumers. Go to an ATT or any other store, and watch how many people (mostly all) don't give a crap about these specs. They want something that they can learn real fast and enjoy using. A complicated device (not saying the M8 is complicated) will not draw any attraction in the masses. Majority people want what a phone you can pick up and enjoy. We can't compare the average consumer to us (the people on this site) because are are not average consumers. We have different needs / specifications when buying a phone, compared to the average Joe. I think average Joe wouldn't like a 4MP camera. People like to take pictures with their phone a lot these days. Lots of average consumers that like simple phones prefer the iphone which has an 8mp camera. It's not rocket science to realize that HTC has half the resolution than it and only a fourth of what the s5 can provide. When you're paying $600, average joe wants the bang for the buck. Hopefully they'll get better. Sad to see a company with quality going down. We can go about how specs and features matter on smartphones all day but it all boils down to how popular a device/brand is. The average consumer won't look beyond what they already know at this point and that's where htc falls short, marketing. idk if htc has a huge marketing budget since they've not been doing so well financially (Samsung had to go as high as 14 billion last year) but that's what they need right now, to get their devices/brand out there. That's your problem. Associating HTC with quality when no one else does. I certainly don't because their products are pretty garbage. Just maybe those speaking with their wallets are on to something and you just aren't on the same page with the rest of society. Exactly, people here seem to be easily misled by the "premium" feels of aluminium phones. Idk about the M8 but former One was one of the most, if not the most, poorly made smartphone ever. Where do you come up with such an inaccurate statement? The One M7 was one of the most praised phones by all the pro reviewers in 2013. What evidence do you have that it was poorly made, let alone the most poorly made smartphone ever? If you don't have anything accurate or insightful to say, zip it. The pre-order number is 1,500,000 in china, unfortunately, google services are removed from stock rom and google play store is not available, unless you setup the google service framework and google play store yourself, it is not a simple work for many people. For me, this is perfect. I don't use any Google spyware. Surprisingly low. I expected more. About what I expected because HTC doesn't advertise. It is frustrating for me as a fan to see that they put almost NO effort into letting the public know about their products. It is almost like they want their products to fail. In #NYC, I see signs for Galaxy S5, but few for the M8. In Europe, it was an EMBARRASSMENT for them. In Finland, Estonia, Scotland, and England; Everywhere I looked, I would see ads for the S5. In malls, and public transit there were displays set up for the S5. The M8… nowhere to be found. It is sad to see a company make such a good product, but then utterly fail to promote it. I saw a M8 ad ONE TIME. And it was literally a man saying "blah, blah, blah, I would tell you about this but you'll buy it anyway." UM for a dying company that is a downright suicidal campaign. Ain't this the truth. 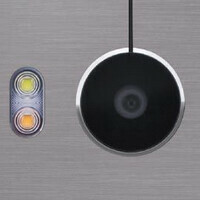 The dumb execs at HTC for some reason decided to be cheap and go with their old stock of 4MP sensors... fools. play store lists download between 500,000 and 1 million. It doesn't mean only 500,000 downloads. Very disappointing. I was so hyped up for this phone ever since the first leak but based from these reports lately, I lost hope for the company and bought a Samsung device instead. I just don't want to a part of a company that's about to crumble down.